SINGAPORE, 9 FEBRUARY 2017: The Football Association of Singapore (FAS) is pleased to announce that Singapore will be hosting Bangladesh and Malaysia for the inaugural Women’s Development Tournament 2017 Singapore. The triangular will be held from 16-18 February 2017 at Jalan Besar Stadium, and all matches will kick off at 7.30pm. 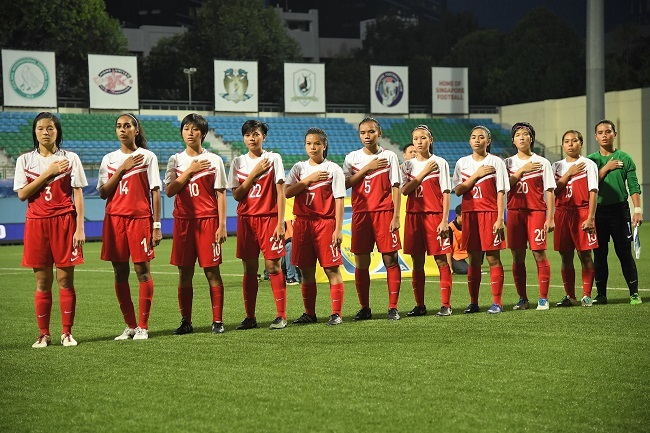 The tournament aims to provide Asian countries with competitive matches against teams of a similar standard, giving them international tournament experience in order to close the gap between the different levels of women’s National Teams in Asia. “We are delighted to be organising the Women’s Development Tournament 2017 Singapore. It is vital that our National Team gains match experience, especially against other nations in the region. This tournament will not only give our girls international exposure, but also provide an opportunity for us to organise adjacent technical activities. For this tournament, we will be conducting a technical study group project where the coaches who attended the FIFA Women’s Coaching Course last July will be trying their hand at match analysis, guided by UEFA Technical Expert Ms Hesterine de Reus,” commented Ms Julie Teo, General Manager of Grassroots and Women’s football. Singapore was drawn in Group D for the AFC Women’s Asian Cup 2018 Qualifiers and will face Vietnam, Myanmar, Iran and Syria. They will begin their campaign on 3 April against Syria.